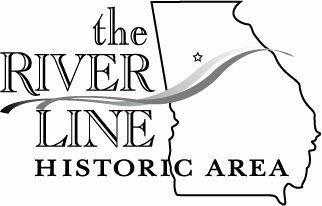 The historic Hooper-McWilliams family cemetery was adopted by The River Line Historic Area on September 6, 2016. It is located next to the McDonough Georgia Power Plant near the Chattahoochee River on South Cobb Drive. We need a limited number of adult volunteers to maintain this cemetery by eradicating invasive vegetation. If you can help, send a RSVP note to riverlinega@gmail.com and more details will be sent in return. Appropriate attire includes gloves, long pants, sturdy shoes, socks and hat. Bring your water bottle and if you have them, small hand pruners. The pioneering Thomas Hooper family owned 531 acres along the Chattahoochee River in 1851. Would you like to help plan, lead, or discuss future Shoupade Park projects? April 27 @ 1 pm at the Smyrna Fire Station 5, 750 Cooper Lake Rd SE, Smyrna, GA 30082. If you plan to attend, please send a RSVP to The River Line Historic Area Executive Director, Roberta Cook, at RiverLineGA@gmail.com. Cobb County's Adopt-A-Cemetery Program on July 3, 2017. A limited number of adults are needed to cut invasive vegetation in this pioneer family cemetery. If you are available to help, please notify RiverLineGA@gmail.com and we will respond with additional information. Appropriate attire includes gloves, long pants, sturdy shoes, socks and hat. Bring your water bottle and if you have them, hand pruners. James Loyd and James Collins are brother-in-laws and the family patriarchs buried in this cemetery. Mr. Loyd was known as a prominent pioneer citizen and business man in early Atlanta, when the city was called Marthasville. He partnered with Mr. Collins on opening a general store in Atlanta and later built the Washington Hall Hotel in 1846. Mr. Collins was known as one of Atlanta's first merchants. In the 1850 Federal Cobb County Census he owned 364 acres of land. Collins Street in Atlanta was named in his honor, which exists as Courtland Street today. which operates under the Cobb County Adopt-A-Cemetery Program. Cobb County's Adopt-A-Cemetery Program on October 21, 2011. A limited number of adults are needed to cut invasive vegetation in this historic family cemetery. If you are available to help, please notify RiverLineGA@gmail.com and we will respond with additional information. In 1851 Daniel R.Turner owned 740 acres along the Chattahoochee River in Cobb County and operated the Mayson-Turner ferry across the Chattahoochee at today's Veteran's Memorial Hwy. His first born son, John Turner, owned the house which stood at 5811 Oakdale Road, demolislhed February 2015 by the City of Smyrna. Daniel and John are both buried at the Turner-Sewell Cemetery along with other family members. This activity requires an RSVP because the date and time are subject to change. Learn how monthly water samples are collected from Nickajack Creek for the Neighborhood Water Watch program administered by the Chattahoochee Riverkeeper.